Hello friends! 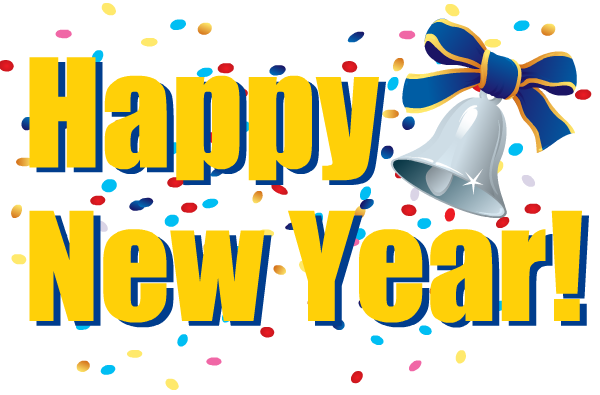 My apologizes for the long silence and lack of blog posts. To say that life has been busy is an understatement. So much has been taking place over the past month that it's been difficult to create much less remember to take photos and post on my blog. Relax...this is going to be a long post. Today I'm sharing the only art that I've been creating over the past few weeks, along with details on some major changes taking place in our family. First, let's get to the art! Early last month I ended up signing up for Julie Fei-Fan Balzer's Junque Journal class, which is offered online. It's $125 for the class, but so worth the price! I think I mentioned this class previously, but I ended up taking close to 100 random pieces of cardstock, paper, half finished art journal pages, and lots of other odds and ends and turning them into two journals. They are spectacular! I can't say enough good things about this class...it was amazing. I have also found that my journal has been a wonderful way for me to work through my many varying emotions about our move. Moving is not something I have desired and so there have been many days filled with a deep sadness and feeling of loss. We are giving up a lot to make this move. Journaling has helped me put those feelings down on paper, it's been a place to capture encouraging words that have been spoken to me by friends, and a location for special Bible verses that I've read. It's been a rewarding and somewhat therapeutic experience. The journal spread above was created with red paint (Dina Wakley), a leaf stencil (Crafters Workshop), and some embossing paste (Wendy Vecchi) that I colored with gold paint (also Dina). 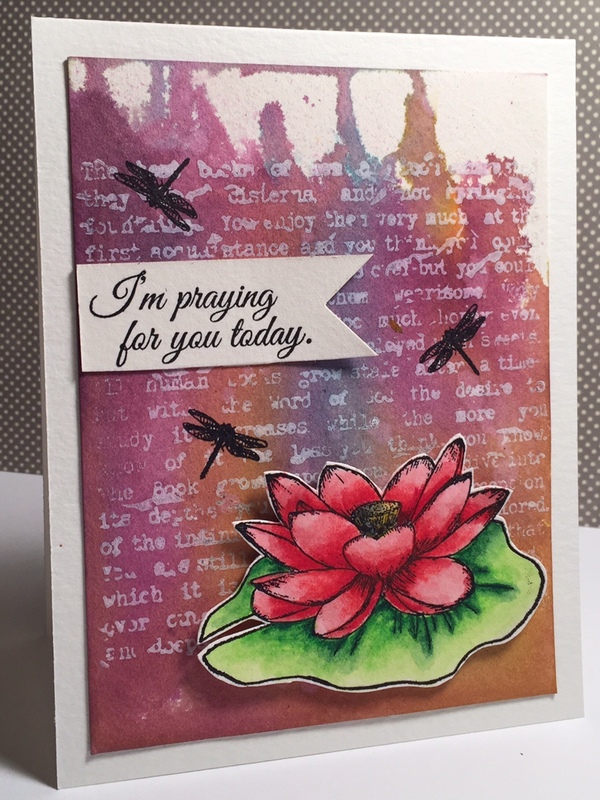 I put my journaling on two small tags, I love the look of the text against the red pages, and the butterfly was a scrap piece of chipboard left over from a die cut (Sweet 'n Sassy). I just added some paint and stamping (Prima stamps) to the chipboard before attaching it over another manila tag. This page already had a gelli print on the paper (you can see the print through the bird), and I just added black paint around the bird mask (Donna Downey), poured out my thoughts on the page, using a white Sharpie, and added some red color to the bird. I also did a bit of doodling (love those Jelly Roll pens), and a piece of washi tape. I might add more to this bird, but no rush on making any changes right now. I'm finding that I work in small sections once or twice a day. It's all this mom has time for right now! 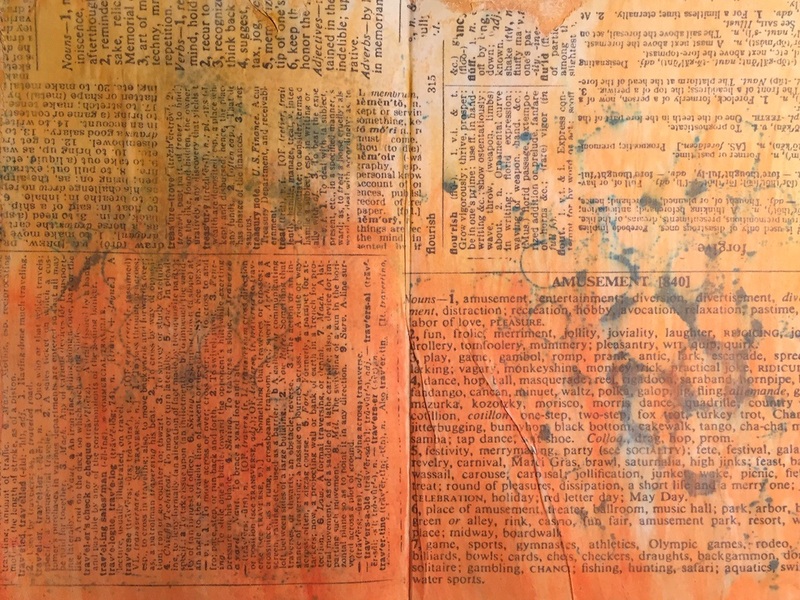 The page on the left was one that I created a while ago, you can read the details here, and I simply painted the page on the right to match. I journaled in the circles (fun stuff! ), and added a few other elements to make the two pages flow together. This spread was super, duper fun! The hearts on the right were already on the page and then I started doodling...and I just couldn't stop! 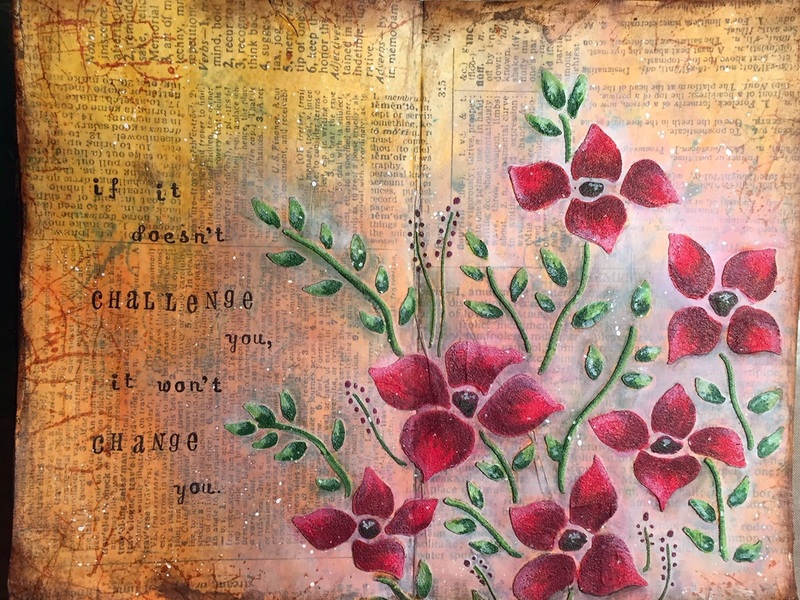 I created this giant flower and used some watered down gesso to fade out the background behind the hearts, but left some of the text and design peeking through. The doodling was all done with Jelly Roll pens and Sharpies. The hearts were the perfect focal point for my journaling as my pages included a wonderful note from a friend who encouraged me about the decisions we're making as a family. 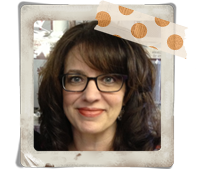 (All of the date, day, and shape stamps are from Julie Balzer). I have a few other pages that are in progress and hopefully I'll be able to pop back in sometime soon to share more. As for our personal news...we are indeed moving to CT. I'm more at peace about the decision now as each day brings more conversations with my hubby, more news about his new position (he LOVES it), and closer to finding a new home. We've been faced with a host of challenges with this move, but we're finding that God is continuing to open doors so we've been encouraged that we're on the right path. We hope to close on our new home this week and we will be out of our beloved NH home right after Thanksgiving. This also means that I will no longer be teaching at Michaels in Epping or offering classes in my home. It's a bit sad to be closing this chapter of my life, but I confess that I have been overjoyed with the amount of free time I've had with my children. Being free from the stress of store ownership and creating only for classes, design teams, or my blog vs. creating just for fun and only when I have time has been liberating. I have missed so much with my boys...even though I've been home with them for many years...I haven't been as present as I should have been, and I'm grateful that I'm getting an opportunity to spend more time with them now...it's a tremendous privilege and blessing. Thanks so much! Much love! 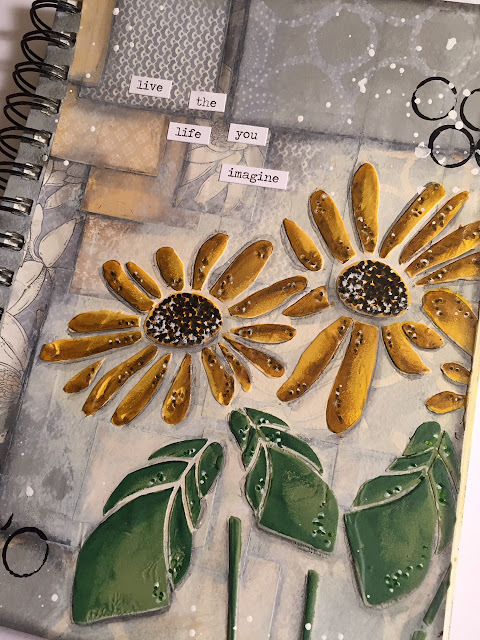 I have a few photos to share of some of the steps taken to create this journal spread. 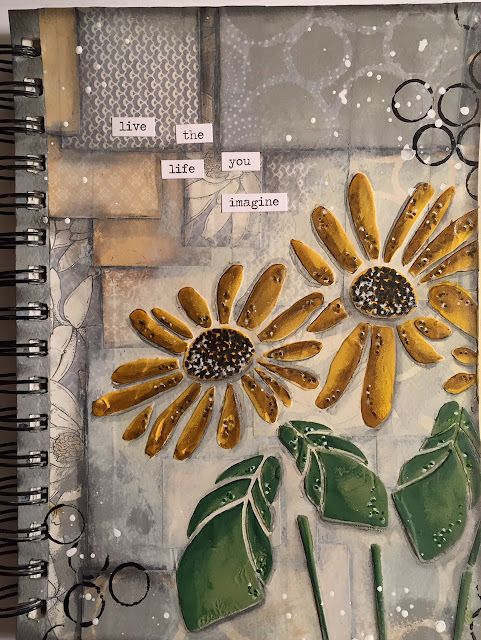 Contact me at ksdm@comcast.net if you have an interest in signing up for the October 3rd class, where we'll explore more quick and easy steps to creating your own beautiful art journal pages. This spread started with Tim Holtz tissue wrap and Distress Paint. I love tissue wrap! 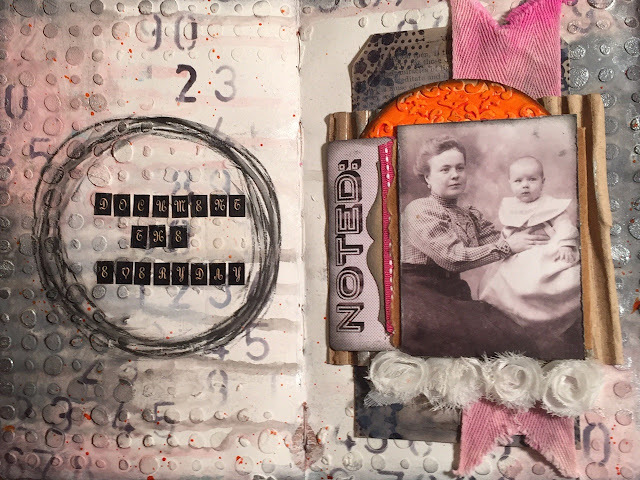 It's a great starting point in art journaling. 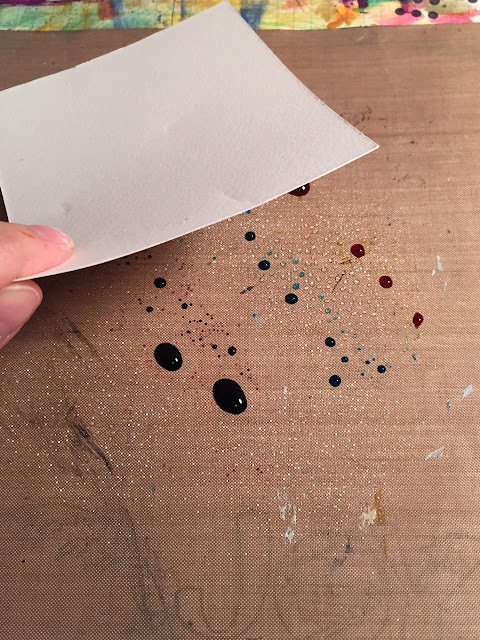 The tissue was applied with matte medium and then Distress Paint was added on top. 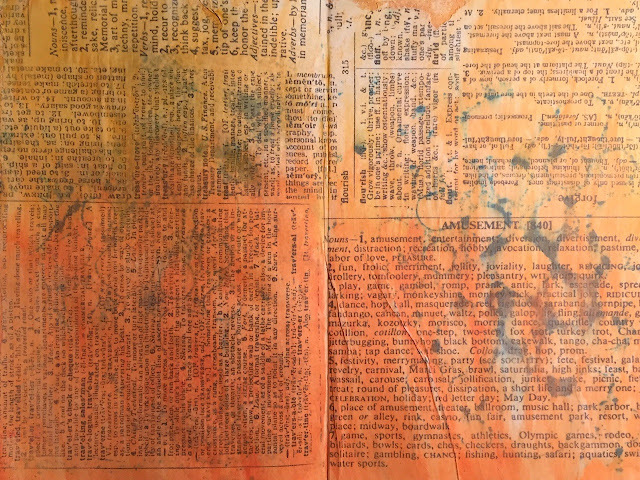 Don't mind that blue peeking through...these pages contained some extra paint from another product. That will be covered by the time I'm finished. 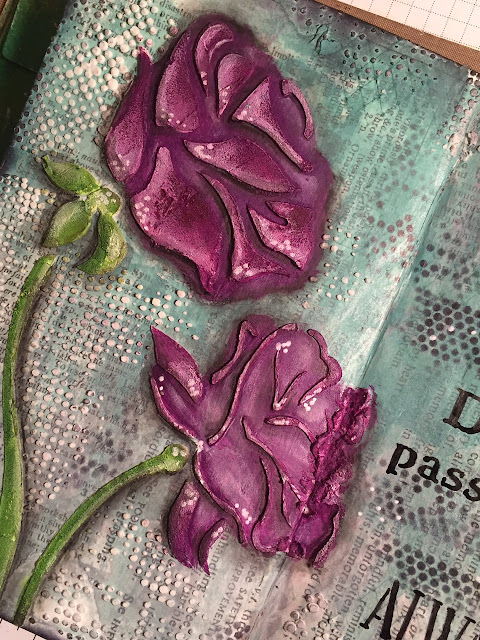 Next, I used Wendy Vecchi's embossing paste and the Flower Bed stencil from Donna Downey to add these beautiful, textured flowers to my page. The blue paint, any paint, will be absorbed by the paste so remember that if you want your paste to be pure white. No worries on my page as I painted my flowers. My flowers were colored with paint and then shaded with Faber Castell Big Brush Markers. (I put the stencil back over the dry paste. This protected my background and allowed me to easily color all of the flowers and leaves without worrying about paint getting on the background). 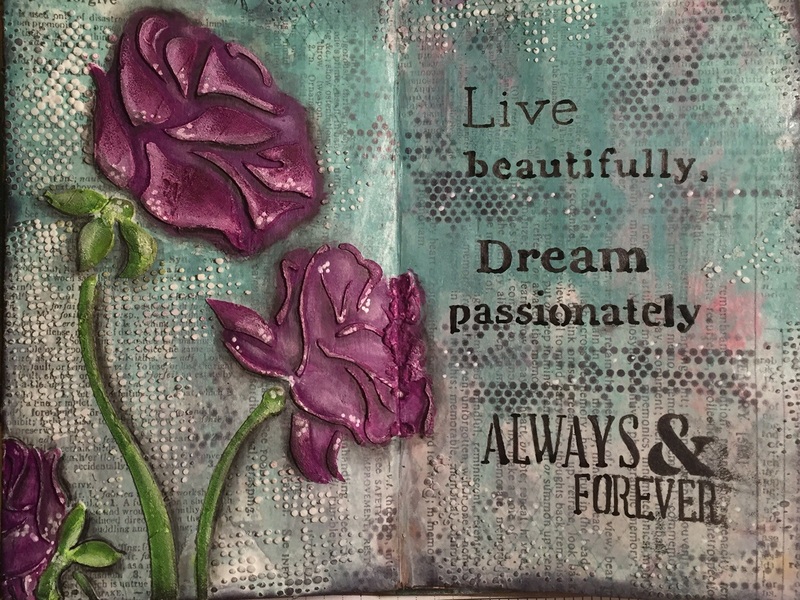 I did add a bit of stamping, used a cracked glass stamp from Tim Holtz, around the edges of the page, as well as a bit of aging on the page edges, using Potting Soil Archival Ink from Wendy (love that color!) And, of course, I had to add a few white splottie-dotties using watered down white gesso. The sentiment is actually from a Donna Downey stamp set, You Are Important, but the sentiment in the set was too small for my page so I used alphabet stamps to add the saying. Interested in learning more? 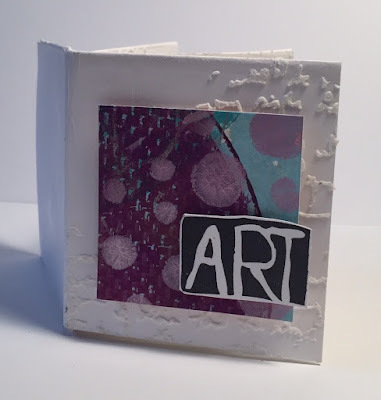 Check out the details on my Art Journaling Made Simple class, coming up on Saturday, October 3...There's still time to register! 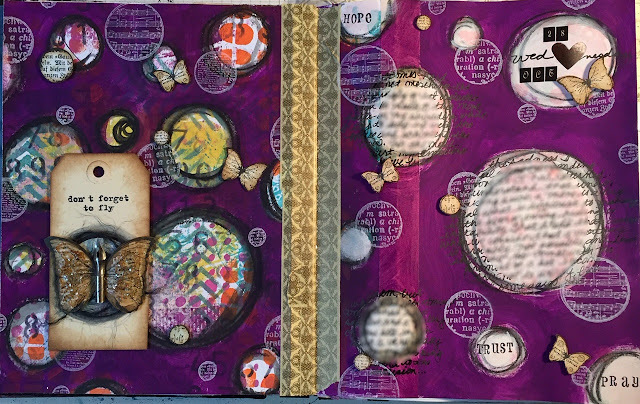 If you've been intrigued by the idea of art journaling or have recently jumped into this wonderful form of creating, but are overwhelmed by all that's involved...this class is for you! This class is perfect for beginners and intermediate students. 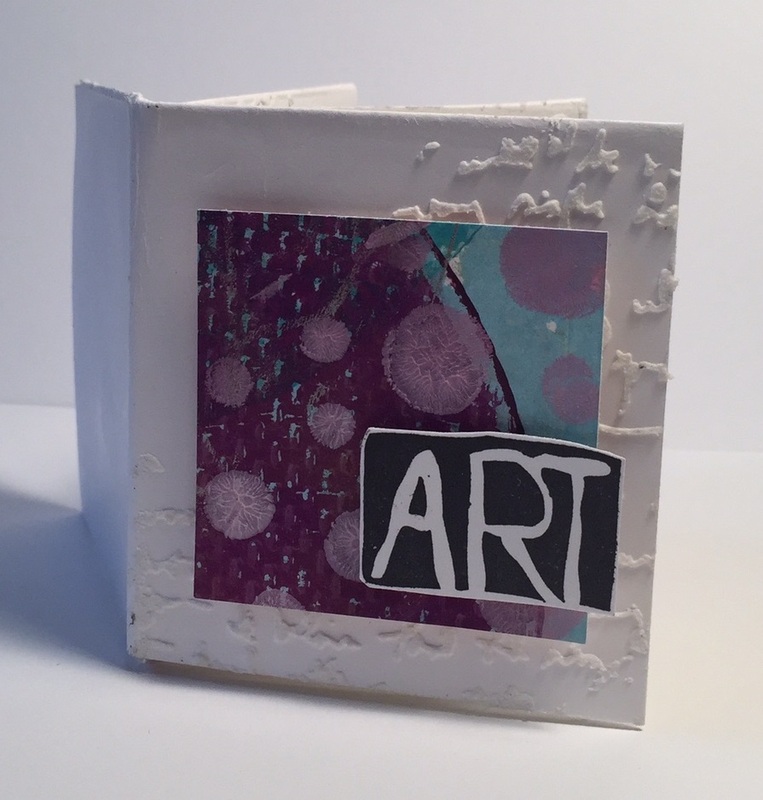 During our four hour class, we'll create three different art journal pages. I'll walk you through the steps taken to create beautiful, quick and easy backgrounds using a variety of mediums, such as Distress Paint and embossing paste. We'll also discuss which tools you'll need to produce the best results, along with providing you with a quick list of some of my favorite go to products. 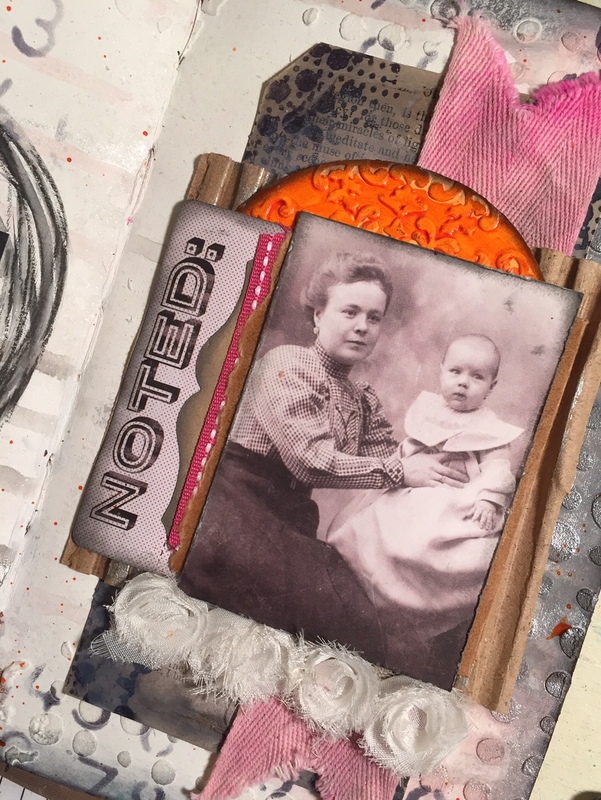 Lastly, I'll teach you how to create beautiful collages and art in your journals. 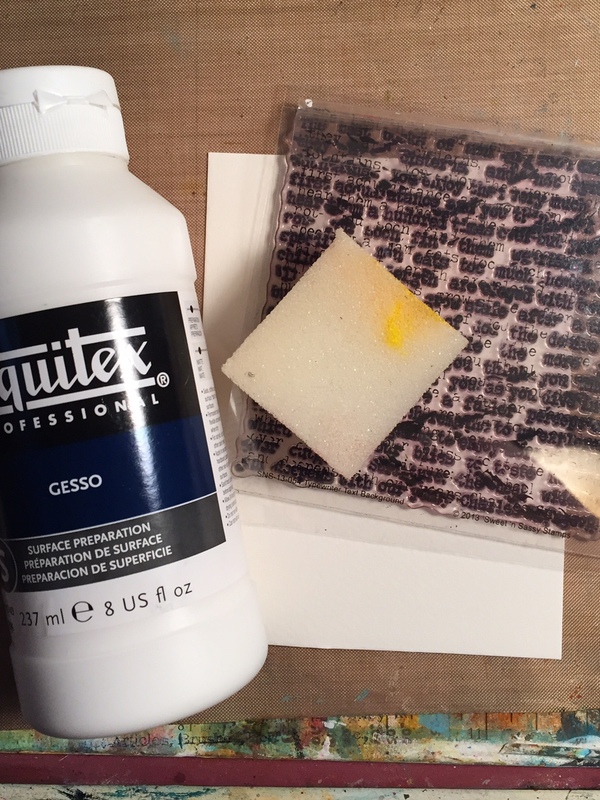 Also during the class, I'll demonstrate a number of techniques, such as gesso resist and coloring pastes. 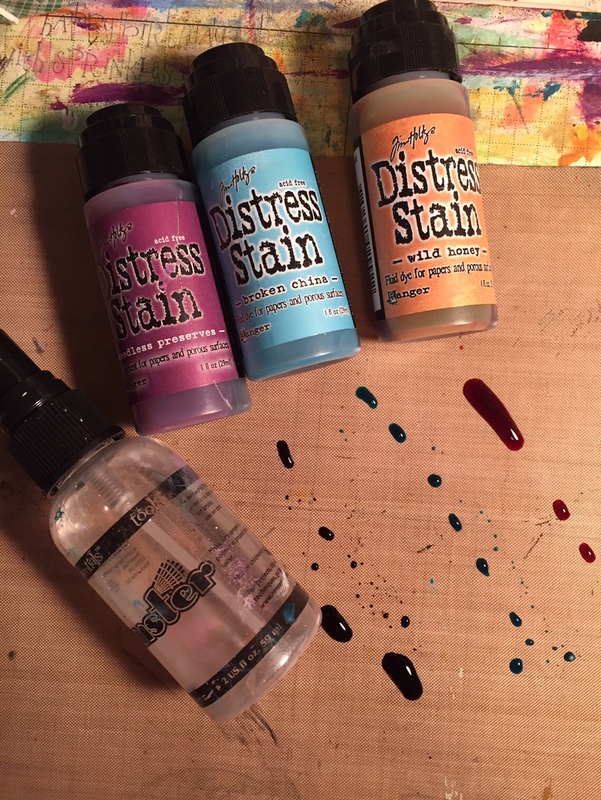 We'll work with ink sprays, acrylic paints, Distress products, collage, embossing pastes, and stencils. Our goal for the day is not only to experiment, learn, and have fun, but to also show you how easy it is to create beautiful art work, quickly and easily! The added bonus? 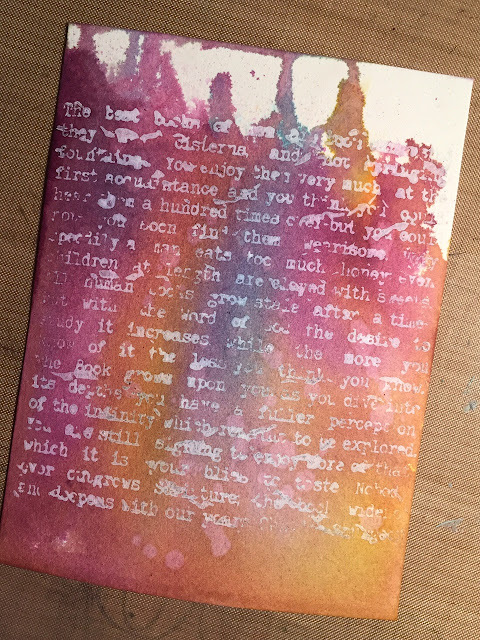 The class includes an 8"x5" Dylusions journal! Fast forward three months and I finally managed to get the video off of my phone and uploaded to my You Tube channel! WooHoo! So...you're getting the photos again, but the video of how I created both projects for the first time. (As for that video...the framing is all wrong...I still need technical help! LOL!) Check out the video at the end of today's post. -I have one more seat left in this weekend's (10/3) Art Journaling Made Simple class. The class runs from 1-5 pm and the cost is $50. 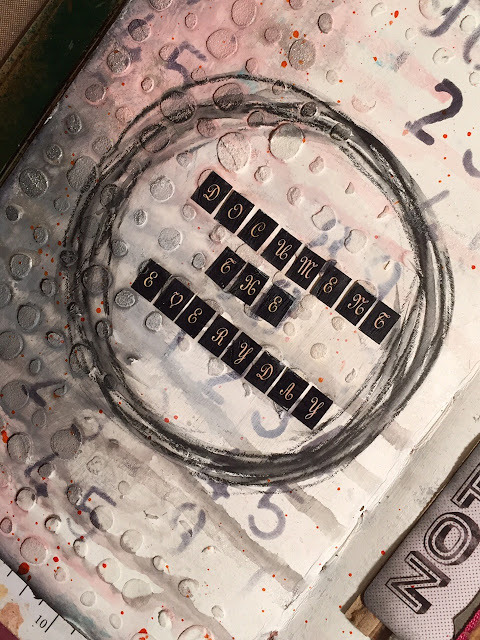 The cost of the class includes a Dylusions journal, which we'll work in to create three art journal spreads. Email me at ksdm@comcast.net to register and for other questions. -Michaels in Epping, NH - I'll be teaching at Michaels on 10/23, 11/6, and 11/13. 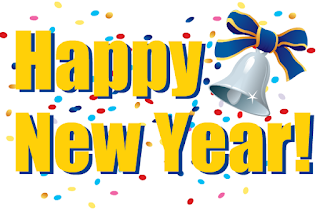 More specific details to follow, but each of the classes run from 6:30-8:30 pm. 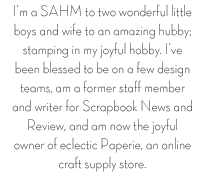 Two will be focused on art journaling and the third will be a card making class. 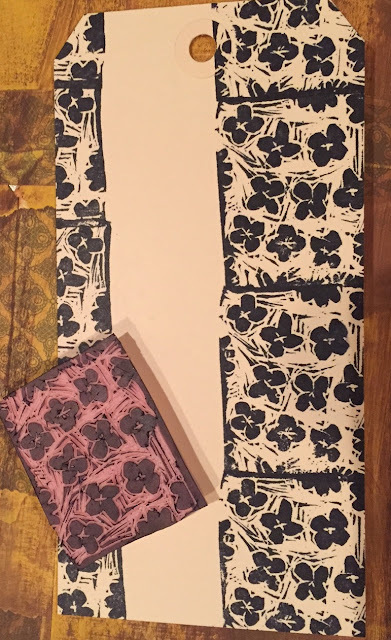 I'll share class samples just as soon as I have them! After six months, I'm pleased to report that my husband has found a job!! We're thrilled! The down side is that it will require our family to move. UGH! We'll be looking in the western NH and northern CT areas. While we're excited about a new career chapter, we're all a bit overwhelmed at the thought of moving. Our house goes on the market this week...sigh...and in preparation we've been in major packing/clean up mode. I just had to share how my studio looks now...it's never been so clean! Almost all of my craft supplies have been put into storage. I only left out paint, stencils, and my art journals. I'm curious to see if I can go without much of my other supplies....if so, I think there's going to be a big purge on the horizon! Now on to the video; I hope you enjoy!